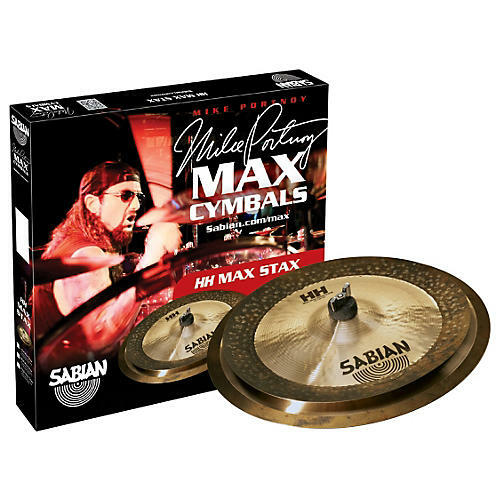 From the mind of Mike Portnoy, the Sabian HH Low Max Stax Cymbal Pack is a perfect addition to the ever-expanding kit of a progressive or exploratory drummer. Comprised of a 12" Max Stax China Kang stacked atop a 14" Max Stax Crash, a Max Stax setup is a refreshing alternative to leading on a conventional hi-hat or crash or for use on rapid, trashy accents. This set features a vintage look and a dark tone. Brilliant finish.